HIGHLANDS RANCH, Colo., Oct. 24, 2017 /PRNewswire/ -- UP Aerospace Inc. and Cesaroni Aerospace teamed to create a state-of-the-art solid rocket motor manufacturing and test facility at Spaceport America, New Mexico. The project was completed in under one year with the culmination of three full-scale SpaceLoft solid rocket motor static test firings. The tests were conducted to verify new high-performance motor casing and insulation manufacturing techniques, and validate the automated, remotely controlled propellant mix, and cast processing facilities. The new facility, called the Space Propulsion Center (SPC), is co-owned and operated by the two companies and is located at Spaceport America adjacent to the UP Aerospace Sub-Orbital Space Launch Complex. The new capability was created in part to support propulsion development of the UP Aerospace Spyder orbital launch vehicle. The Spyder rocket, under development in collaboration with NASA, is targeting a total launch cost of $1M for a 20-pound payload to Low Earth Orbit. The facility will also be used to produce high-performance military grade rocket motors for the U.S. government. Jerry Larson, President of UP Aerospace Inc. said in a statement, "This new facility adds to our existing 12 years of launch operations at Spaceport America, the ability to produce propulsion systems for the SpaceLoft on-site, and develop new propulsion systems for our orbital Spyder vehicle." Larson went on to say, "Having a motor production and test facility on-site with our launch complex will reduce cost and schedule for future missions flown from Spaceport America." UP Aerospace is currently under contract to conduct 4 sub-orbital space-flown missions from Spaceport America in 2018. Three missions are scheduled for NASA, and the forth hypersonic mission for a commercial customer. UP Aerospace is also fully funded to complete the development of the first stage solid rocket motor of the Spyder launch vehicle. 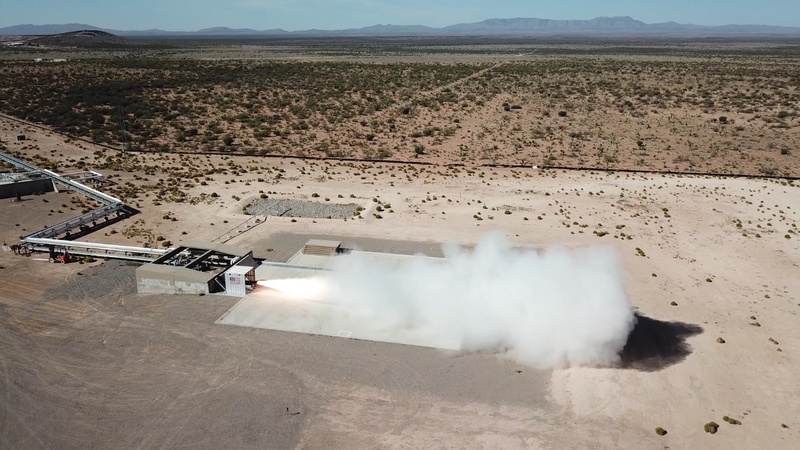 The effort includes a full-scale flight qualification test fire of the Spyder Stage one solid rocket motor in September of 2018 in collaboration with NASA. Larson concluded, "The Space Propulsion Center (SPC) and crew are functioning very efficiently and are poised to support a very busy 2018 launch and test schedule at Spaceport America." "UP Aerospace has been a long-term partner of Spaceport America and we are very proud of their continued progress. UP Aerospace is a great reflection of the exciting work being performed in the space industry and highlights Spaceport America's role in supporting civil, commercial and national security space in southern New Mexico," said Dan Hicks, CEO of Spaceport America. At the completion of the Space Propulsion Center (SPC), three full-scale SpaceLoft rocket motors were manufactured and tested in September and October 2017. The three motors were test fired within three weeks using the facilities' new 30,000-pound test stand. Two of the motors were a high-performance SpaceLoft motor that demonstrated an increased propellent loading, and the third test was a standard SpaceLoft motor which qualified its use on all sub-orbital flights scheduled for NASA missions in 2018 and beyond. Cesaroni Aerospace interests in the new facility also include the expansion of production capacities and enable testing of advanced bi-propellant engines. Anthony Cesaroni, President and CEO of Cesaroni Aerospace said, "We have big plans for New Mexico that includes military, sub-orbital as well as orbital systems that are currently under contract." Cesaroni Aerospace currently has two large propulsion contracts that the Space Propulsion Center (SPC) will manufacture over 100 military grade solid rocket motors in 2018. One such client is Sandia National Labs. Cesaroni is known for its capabilities in rapid design and testing all types of propulsion systems including solid rocket motors, liquid rocket engines, hybrid rockets motors, and gas generators. Cesaroni went on say, "The infrastructure at the Space Propulsion Center (SPC) is capable of supporting our bi-propellant propulsion development activities. We plan to expand these capacities over the next few years at this new site. The center includes engineering, manufacturing, fuel, test, launch on site, and on demand. All this makes this new capability a very exciting step forward in our combined business growth with UP Aerospace." 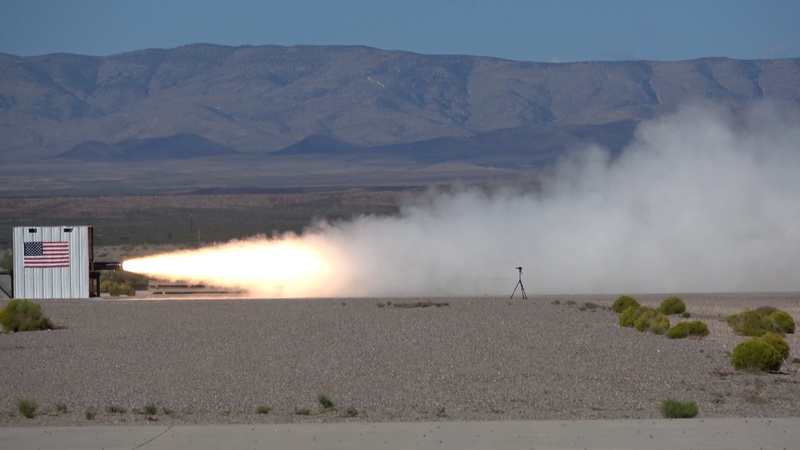 Since 2005 Cesaroni Aerospace has supplied solid rocket motors for UP Aerospace's SpaceLoft sounding rocket program that has launched a total of 10 microgravity flights from Spaceport America to altitudes exceeding 400,000 feet. During this 12-year span, Cesaroni and UP Aerospace have teamed on many launch and propulsion projects. This new collaborative propulsion capability allows the two companies to work closely together on advanced propulsion and launch systems in an extremely cost-effective manner. Propulsion and launch operations revenue growth is expected to significantly increase for both companies over the next few years as a result of this new facilities capabilities and teaming arrangement. UP Aerospace is a space launch and flight test service provider incorporated in 2004 to offer world-class access to space. The company specializes in advanced engineering, launch technology development, and state-of-the-art rapid and low-cost launch operations. UP Aerospace has successfully reduced the cost and scheduled time of launching experiments and commercial payloads into space with our in-house developed SpaceLoft launch platform. The company headquarters are in Denver, Colorado, with motor manufacturing and launch facilities at Spaceport America in New Mexico. UP Aerospace is currently developing an orbital launch vehicle called Spyder tailored for placing cubeSat payloads into Low Earth Orbit. For more information about UP Aerospace Inc. contact Tracey Larson at (303) 683-8814 or visit www.upaerospace.com. Cesaroni Aerospace, a high-tech company specializing in industrial design and manufacturing as well as research and development. Located in Sarasota, Florida and Toronto, Ontario, Cesaroni Aerospace provides the aerospace industry with propulsion development and services for solid rocket motors, liquid rocket engines and gas generators. For more information about Cesaroni Aerospace contact Anthony Cesaroni at (941) 360-3100 or visit www.cesaronitech.com. Spaceport America is the first purpose-built commercial spaceport in the world. The FAA-licensed launch complex, situated on 18,000 acres adjacent to the U.S. Army White Sands Missile Range in southern New Mexico, boasts 6,000 square miles of restricted airspace, low population density, a 12,000-foot spaceway, and 340-plus days of sunshine and low humidity. With 40 vertical launches *doesn't include 60 student launches conducted during the Spaceport America Cup and 8 horizontal missions to date, some of the most respected companies in the commercial space industry are customers at Spaceport America: Virgin Galactic, SpaceX, UP Aerospace, EXOS Aerospace, and Pipeline2Space. Visit http://spaceportamerica.com and http://gatewaytospace.com for more information. Spaceport America is #NewMexicoTRUE. Media Contact: Rosa Bañuelos, +1.575.202.4524, or email at media@spaceportamerica.com.